Nowadays with governments advising us that we should be self-reliant for at least the first 72 hours after a disaster, it’s absolutely essential that we have emergency supplies at our disposal. 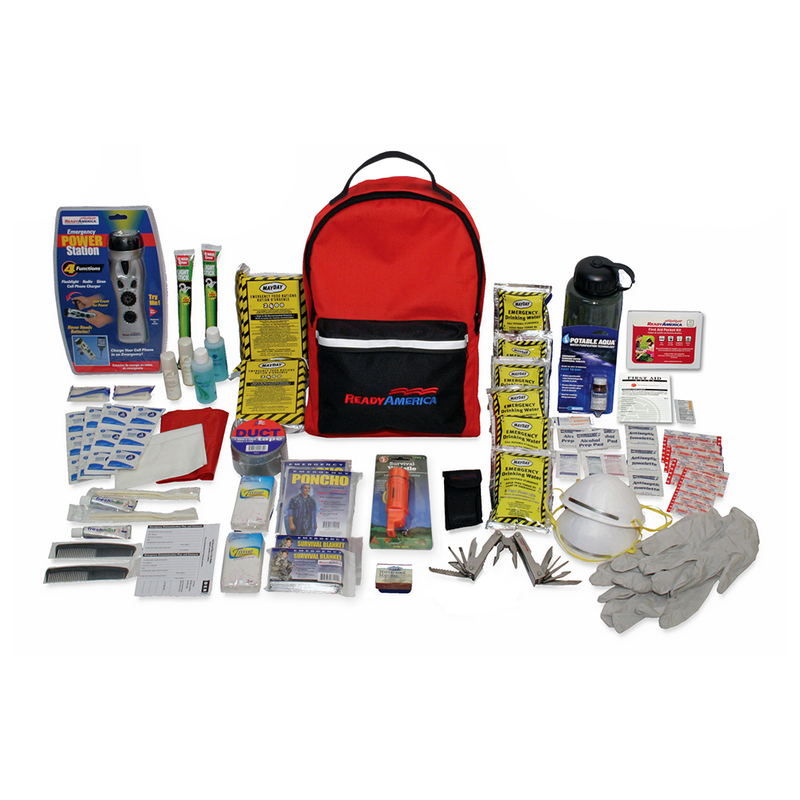 That’s why Ready America has developed a 3-Day Deluxe Emergency Kit for 2 people. It contains all the life saving supplies and more that two will need to survive for those crucial 72 hours. Unique to the Deluxe 2 Person Emergency Kit are a few extra items – Water Purification Tablets, one 32 oz. BPA Free Water Bottle, Personal Hygiene Kit, Emergency Power Station, Multi-Function Pocket Tool, and more. Approx. backpack dimensions: 14 in. x 10 in. x 6 in.